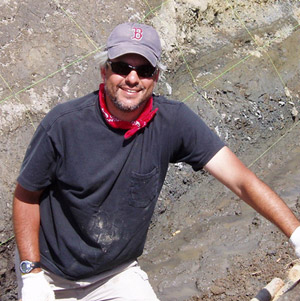 I am a structural geologist and a paleoseismologist who conduct field-oriented research to better understand how continents deform over a range of timescales, from decades to tens of millions of years. In my research, I investigate the times and magnitudes of past earthquakes along faults that affect people, how earthquakes change the topography and how is strain distributed across wide shear zones. I am passionate about my teaching, and motivated to train the next generation of field-oriented earth scientists. But more importantly, I am committed to preparing my students to be hardworking, critical thinkers, and lifelong learners regardless of their career aspirations. Teran, O. J., Fletcher, J. M., Rockwell, T. K., Hudnut, K. W., Oskin, M. E., Spelz, R. M., Akçiz, S. O., Morelan, A. E., (2015). Geologic and Structural controls on rupture zone fabric: A field-based study of the 2010 Mw 7.2 El Mayor Cucapah earthquake surface rupture. Geosphere, 11, 3, p. 899 – 920. Bemis, S.P., Micklethwaite, S., James, M.R., Turner, D., Akçiz, S. O., Thiele, S., and Bangash, H.A., (2014), Ground-based and UAV-based photogrammetry: A multi-scale, high-resolution mapping tool for structural geology and paleoseismology. Journal of Structural Geology, v. 69, 163 – 178. Fletcher, J. M., Teran, O. J., Rockwell, T. K., Oskin, M. E., Hudnut, K. W., Mueller, K. J., Spelz, R. M., Akçiz, S. O., Masana, E., Faneros, G., Fielding, E.. J., Leprince, S., Morelan, A. E., Stock, J., Lynch, D. K., Elliott, A. J., Gold, P., Liu-Zeng, J., González-Ortega, A., Hinojosa-Corona, A., and González-García, J., (2014), Assembly of a large earthquake from a complex fault system: Surface rupture kinematics of the 4 April 2010 El Mayor–Cucapah (Mexico) Mw 7.2 earthquake. Geosphere, 10 , p. 797 - 827. Akçiz, S. O., Grant Ludwig, L., Arrowsmith, J R., Zielke, O., (2014), 3D investigation of an apparent offset channel: A case study from the San Andreas Fault in the Carrizo Plain. Bull. Seis. Soc. Ame., 104, p. 2799 – 2808. Akçiz, S.O., and Arrowsmith, J R., (2013), New views on the evolution of the San Andreas fault zone in central California and the Carrizo Plain", in Putirka, K., ed., Geologic excursions from Fresno, California, and the Central Vallet: A Tour of California's Iconic Geology. GSA Field Guide 32, p. 1-12. Haddad, D. E., Akçiz, S.O., Arrowsmith, J R., Oldow, J. S., Rhodes, D. D., Zielke, O., Toké, N. A., Haddad, A. G., Mauer, J., (2012), Applications of airborne and terrestrial laser scanning to Paleoseismology. Geosphere, v. 8, p. 771-786. Zielke, O., Arrowsmith, J R., Ludwig L G., Akçiz, S.O., (2012), High resolution topography-derived offsets along the 1857 Fort Tejon earthquake rupture trace, San Andreas Fault. Bull. Seis. Soc. Ame., 102, p. 1135-1154. Akçiz, S. O., Grant Ludwig, L., Zielke, O., and Arrowsmith, J R., (2010), Century-long average time intervals between earthquake ruptures of the San Andreas fault in the Carrizo Plain, California. Geology, 38, 9, p. 787-790. Ludwig, L. G., Akçiz, S. O., Noriega, G. R., Zielke, O., and Arrowsmith, J R., (2010), Climate-Modulated Channel Incision and Rupture History of the San Andreas Fault in the Carrizo Plain. Science, 327, 5969, p. 1117-1119. Zielke, O., Arrowsmith, J R., Grant Ludwig, L., and Akçiz, S. O., (2010), Slip in the 1857 and earlier large earthquakes along the Carrizo Plain, San Andreas Fault. Science, 327, 5969, p. 1119-1122. Akçiz, S. O., Grant Ludwig, L., and Arrowsmith, J R., (2009), Revised dates of large earthquakes along the Carrizo section of the San Andreas Fault, California, since A.D. 1310 +30. J. Geophys. Res., 114, doi:10.1029/2007JB005285. Akçiz, S.O., Burchfiel, B.C., Crowley, J.L., Jiyun, Y., and Liangzhong, C., (2007), Geometry, Kinematics and Regional Significance of the Chong Shan Shear Zone, Eastern Himalayan syntaxis, Yunnan, China. Geosphere, 4, 1, p. 292-314. Reassessing prehistorical records of earthquakes along the San Andreas Fault in the Carrizo Plain: Integrating geomorphological, paleoseismological and geochronological analyses; Hokudan International Symposium on Active Faulting. Japan, 2015. Paleoseismic, geomorphic, geochronological, and paleoclimate investigations of the Carrizo section of the San Andreas Fault. Our success, failures and future directions, Harvard, 2014. U.S.G.S., Earthquake Hazards Program (2016-2017): Paleoseismic Investigation of the Van Matre Ranch Site, Carrizo Plain, CA.